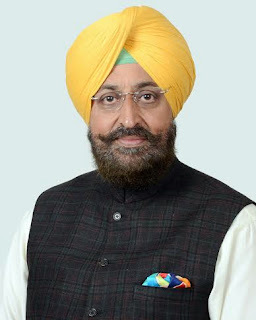 Chandigarh: The Punjab Pradesh Congress President, Mr. Partap Singh Bajwa, today called upon the Bharatiya Janata Party in Punjab to listen to the voice of its conscience and come out of the Parkash Singh Badal government as this was the next logical step after making an honest observation that the drug smuggling in the state had strong political patronage. In a statement, the PPCC chief said the BJP President, Mr. Kamal Sharma, had only corroborated what the Congress had been maintaining all these months about the drug smuggling racket. It was the BJP which had realised the gravity and enormity of the drug menace only during the elections. “It is a situation under which you cannot run with the hare and hunt with the hounds. The BJP must draw the red lines and come out of the government”, he added saying Mr. Sharma had hit the nail on the head by emphasising that all those whose names had been linked to drug smuggling, irrespective of their parties, must come clean. “With the President of the alliance partner calling a spade a spade on this sensitive issue, it is all the more necessary that the Chief Minister, Mr. Parkash Singh Badal, must initiate action against those from his cabinet whose names have surfaced in drug smuggling. It is now not the Congress that is leveling any allegations. The fact has been admitted by the BJP”, he added. Reiterating the demand for an immediate CBI inquiry into the drug smuggling racket under political patronage in this sensitive border state, Mr. Bajwa demanded that the Revenue Minister, Mr. Bikram Singh Majithia, must be dismissed without any delay. He said with the change of government at the center, the Deputy Chief Minister, Mr. Sukhbir Singh Badal, could not extend the logic that the CBI was the Congress Bureau of Investigation. He said this had been the original demand of the Congress. He said being the alliance partner, the BJP was an equal shareholder in all the crimes with which the Akali leaders were associated, from drug smuggling to mafia like control of illegal sand mining. Rather than advising the Akali's to come clean on this issue, the BJP must take this initiative and prove to the people that the party had strong reservations on such activities of the Akali leaders and was sincere about the concerns of the people. Mr. Bajwa said Mr. Sharma must follow up his own observation about honest introspection on the losses the Akali Dal-BJP combine suffered, especially in Amritsar, in the context of comments made by BJP MLA from Amritsar East Dr. Navjot Kaur Sidhu. He pointed out that Dr. Sidhu had been trying to showcase the prevailing dismal conditions to the alliance leaders but they were not prepared to concede space to her. He said Mr. Sharma was not alone in making the honest confession about political patronage to drug smuggling as his party’s senior leader and the former minister, Mr. Balramji Dass Tandon, too had made a scathing attack on the politicians in this racket in league with the police. Mr. Bajwa said the Congress had also been vociferously raising its voice about the extra-constitutional offices like that of ‘halqa incharges’ which was the outcome of the Akali Dal’s thought process. Now Mr. Tandon too had castigated this system and as such, this system must be dropped. The command structure in police and civil administration must be restored to provide relief to the people. He also reiterated the Congress party's demand from day one for the withdrawal of property tax as the Badal government had now gauged the anger of the people against this burden.